← Counselling in Wokingham – Which sort of Stuck? For some people, life seems simple. They can see things clearly, they do not get confused easily, they are calm, they are in control of their emotions. I think that often these people have what I would call “tidy minds”. 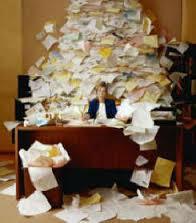 It is like an efficient office filing system, everything is in its place, cross-indexed meticulously, easily found. A place for everything, and everything in its place. Contrast that with a less efficient system – things get lost, or turn up in the wrong place; different subjects are mixed up together and everything is rather confusing and difficult. 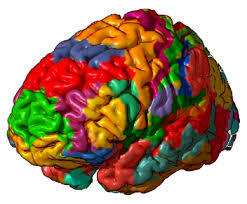 Tidy minds, then, are good at categorising things, and good at compartmentalising things. So often people with tidy minds will divide their lives into different sections. Work life and home life won’t mix much. They will find it easier than most of us to “switch off” from work on the way home – and switch back on again on their return journey. Often, these people will have different groups of friends who don’t overlap as well. Every area of their life is separate and orderly. But of course things are not always as they seem, and compartmentalising your life in this way means that it can be hard to see the big picture, to take a holistic approach. I think that often addicts are good at compartmentalisation – so that they can justify to themselves that they are having “just a quiet drink”; “a quick cigarette to perk myself up a bit”. Nobody will find out, nobody will be hurt. But of course things aren’t that simple, our actions affect those around us, little ripples can lead to floods. I encounter a similar mentality in working with couples where there has been an affair. Often the affair partner will say that during the affair they felt no guilt, because it felt as if there was no connection between their affair and the rest of their life, as if these things live in completely different parts of their brain. The affair can, it seems, be sealed off, in a separate compartment, and therefore it can feel as if it hurts nobody, it is harmless, it will have no repercussions. Keeping things in their compartments can be very hard work mentally. A complex filing system has to be maintained rigorously and monitored regularly to ensure that everything remains in its place. This is all very well, but suppose someone breaks into your office, goes into your filing cabinet, gets everything out and throws it up in the air, so that it’s all mixed up? A bereavement, an illness, a chance event can destroy the filing system and leave your life in tatters. 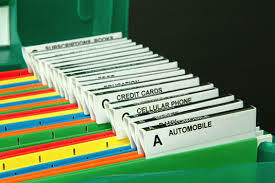 Attempts to recreate the filing system, to put things back in their boxes, may be only partially successful, and if there have been big secrets that others now know about, it may be quite impossible to put things back as they were. Real life can be like a rebellious child – it refuses to obey rules, to be told what to do – and if you take your eye off it for a moment, it will create all sorts of trouble. This entry was posted in Understanding and tagged addiction, affair, alcohol, behaviour, confusion, control, drugs, perspective, relationship, smoking, understanding. Bookmark the permalink.